Clearly, an ad executive was superbly impressed with B.C. 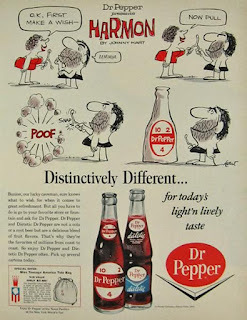 (which had debuted in 1958) and hired Hart over to work on this ad campaign. 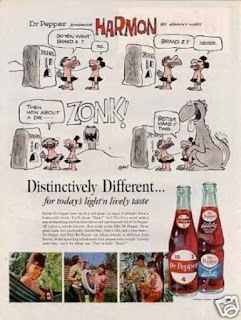 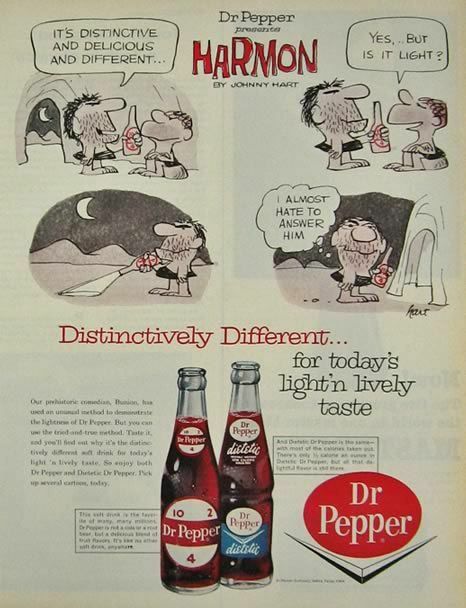 How/why they thought cartoon cavemen selling Dr Pepper made sense, I don't know. 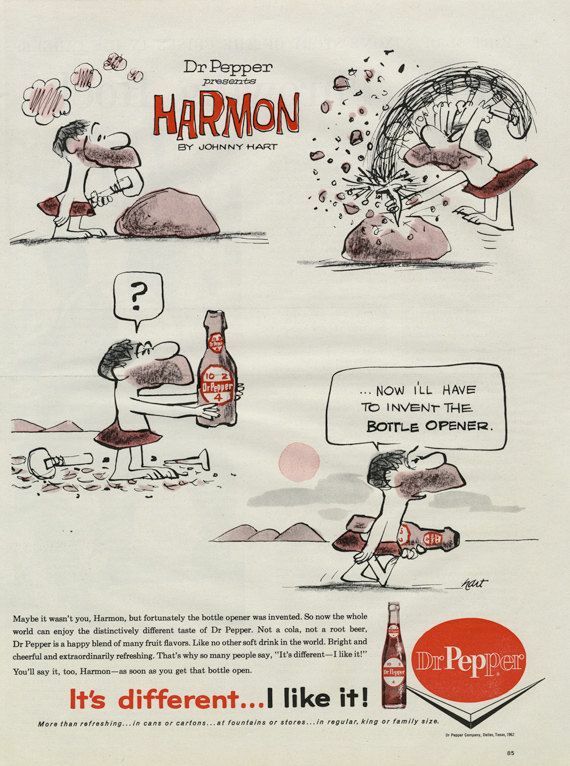 But if nothing else, it did lead to additional development on Hart's primary strip; in a later interview, Hart apparently noted that the B.C. 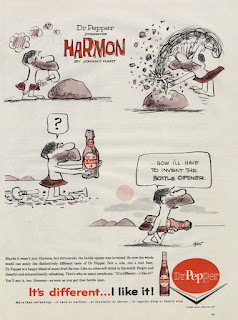 character Grog came pretty directly from Harmon.